Japanese or Sawtooth Zellkova grows rapidly when young, not only in height and width, but also developing a sturdy trunk. 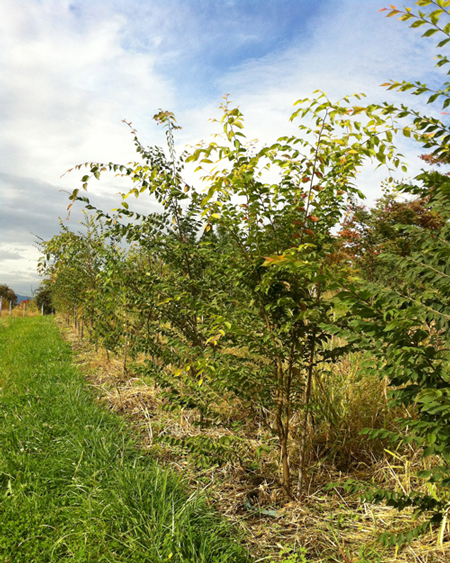 This characteristic gives a new planting substance while other species develop. 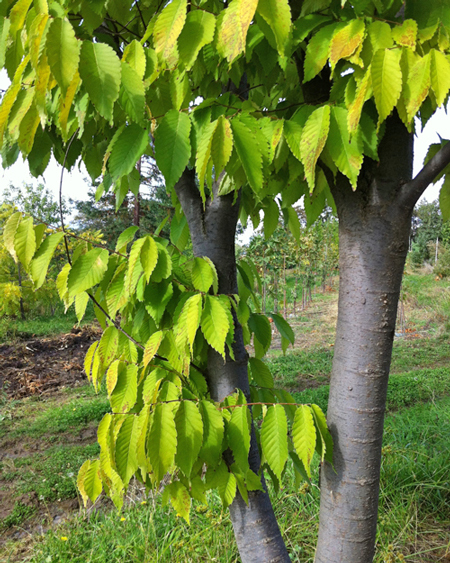 Zelkova produces a dense shade in summer. 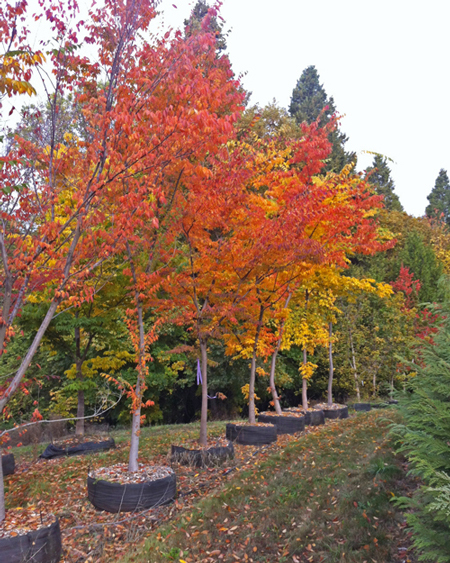 This handsome tree is great for residential use, as a street tree, or in parks and other large grounds. It will even stand up to the conditions of parking lot islands. Handsome shade trees, vase-shaped and vigorous, these resemble elms, but are not subject to the diseases that plague elms. Fast when young, they will reach 90 feet or so at maturity. The dark green, toothed leaves, 2-5 in long, turn yellow then orange to rusty-red in autumn. 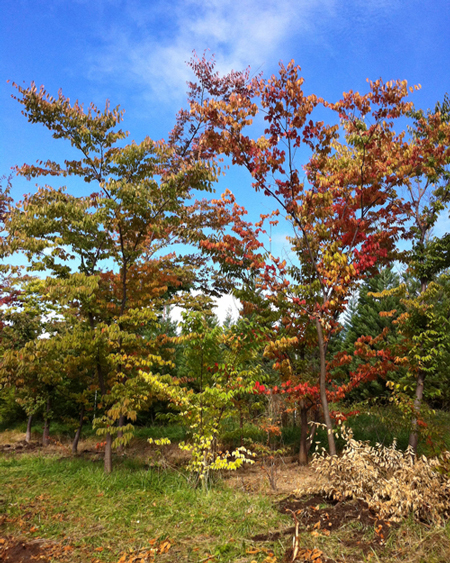 Sawtooth Zelkova, becomes more spreading and rounded with age. The smooth gray bark sometimes peels, revealing orange patches. Grow them in deep, fertile, well drained soil, with moderate water. 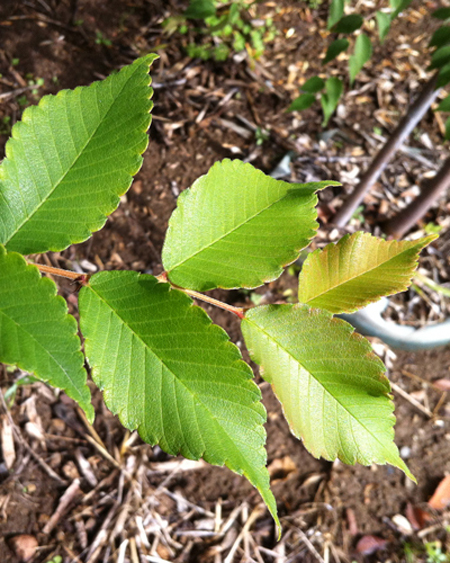 Once established, Zelkova is drought and wind resistant.